Extensive training in fine art handling. Our handlers are trained by one of the foremost art handlers. Art is the ultimate expression of a homeowner’s personality, family heritage and affluence. Having the artwork handled by someone other than trained professionals is a mistake that should be avoided. It sometimes takes years to develop the skills necessary to properly handle a priceless family heirloom or a valuable piece of art. All of our fine art handling staff have at least several years’ experience with our company. Individuals are gradually given responsibilities, and are vetted before they have an opportunity to work with a homeowner’s prized artwork. In fact, our senior staff members have an average of over 10 years working within the Company. Your precious objects will be packed securely and properly. 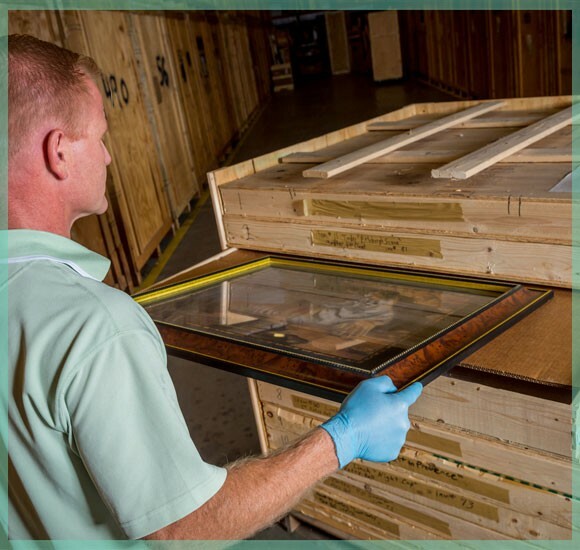 Only professionally trained art handlers will be on hand to oversee and accomplish your fine art crating, packing, and handling. Too get started, fill out the form and we will get back to you quickly to give you a free quote. The security of your collection is our utmost priority. Store your valuable collection safely in one of our 2 climate controlled warehouse locations. Our storage facilities are secured and monitored 24/7, and our buildings are made to withstand category 5 windspeeds. Our transportation vans are comprised of a state-of-the-art fleet of temperature controlled vehicles. Your artwork rides safe because all of our vehicles feature air ride suspension. Our vehicles are used exclusively for the transportation of high value items. It is our mission to be the foremost fine art handlers. That is why we choose the best to help train our staff in the areas which benefit our clients. 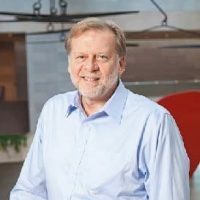 Staff at our company have been trained one-on-one by one of the foremost art handlers in the US, Merv Richard from the National Gallery of Art. Our highly trained staff know how to use protective measures to assure safe handling of valuable artwork. Interested in our fine art handling services? We are available to talk with you about all of our moving & storage services. If you have any questions about what we do and how we can help you, send us a message or give us a call!